Six of the nine rebel Congress MLAs had moved the high court on March 30 challenging their disqualification as members of the House on the plea that the Speaker’s action came after imposition of president’s rule in the state which had put the state Assembly under suspended animation. 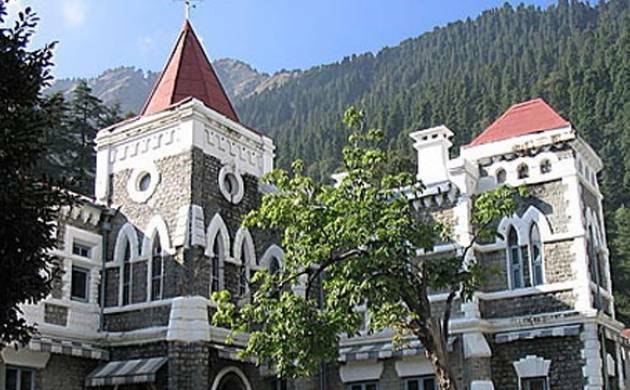 Uttarakhand High Court today put off hearing of a plea challenging disqualification of rebel Congress MLAs from the membership of the state Assembly till April 11. Six of the nine rebel Congress MLAs had moved the high court on March 30 challenging their disqualification as members of the House on the plea that the Speaker’s action came after imposition of president’s rule in the state which had put the state Assembly under suspended animation. The single bench of Jutice U C Dhyani posted the matter for hearing on April 11. It is for the second time that hearing of their appeal has been postponed by the single bench of the high court which had earlier posted the matter for hearing today. On March 30, while posting their appeal for a hearing for April one, Justice Dhyani had said as per the interim order issued by the court a day earlier on Harish Rawat’s writ petition challenging imposition of President’s rule in the state they had already been given relief as they were being allowed to vote during a floor test in the state assembly in spite of being disqualified. The court had also told them that although they have been allowed to vote in the Assembly during floor test, their votes will not be treated on a par with the rest of the MLAs. The Speaker had disqualified nine Congress MLAs under the anti-defection law hours after imposition of President's rule in the state on March 27, a day before the state government was scheduled to go for a floor test in the state assembly. A bench headed by Chief Justice K M Joseph on March 30 stayed till April 7 the floor test in the Assembly and posted for final hearing on April 6 the writ petition filed by ousted Chief Minister Harish Rawat challenging the imposition of President’s Rule in the state.